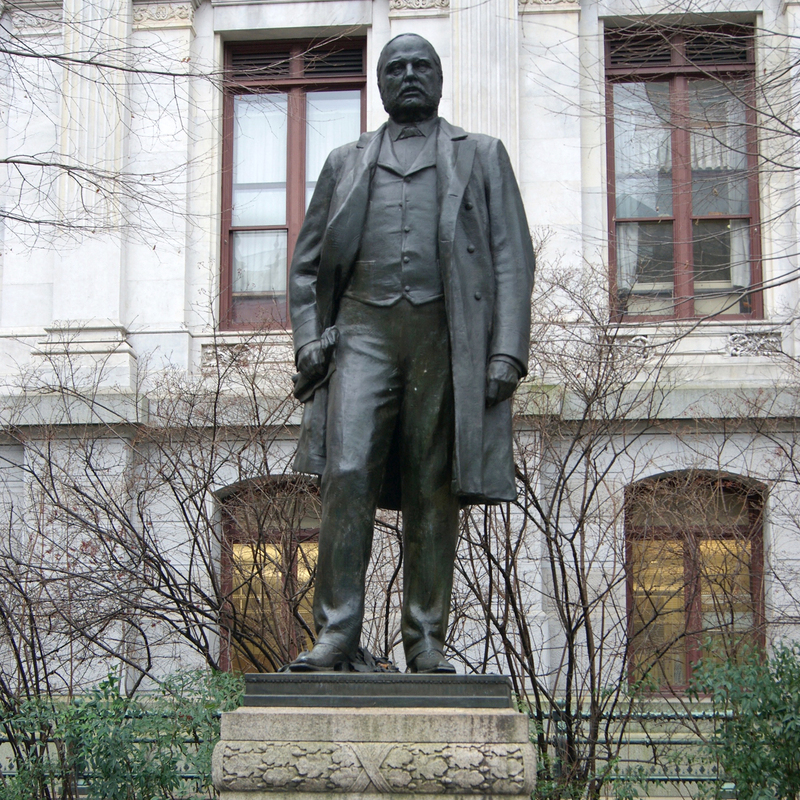 An attorney and civic leader, John Christian Bullitt drafted the “Bullitt Bill” of 1885, a government-reform measure that became Philadelphia’s City Charter two years later. He also erected the city’s first modern office building, which was eventually taken down to make way for Independence National Historical Park. 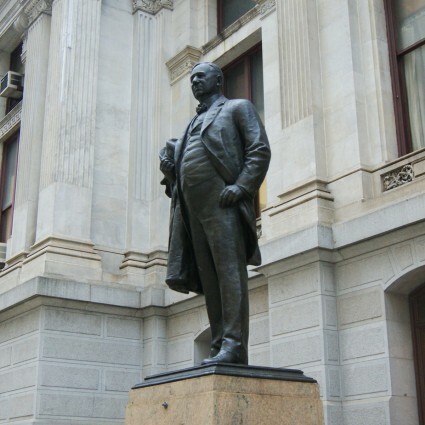 This bronze was commissioned by the citizens of Philadelphia in 1902. 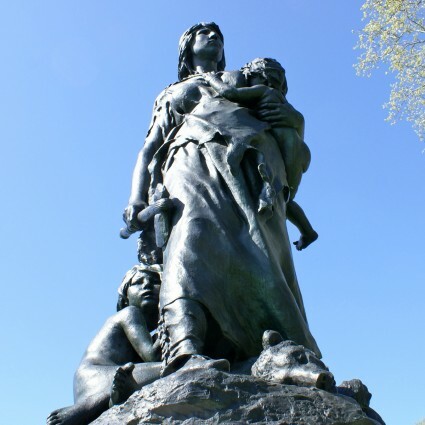 Sculptor John J. Boyle, from an immigrant Irish family of stonecutters, spent most of his career in Philadelphia and New York. 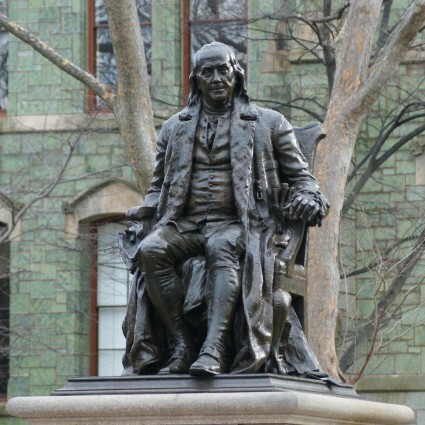 His other sculptures include Stone Age in America on Kelly Drive and Benjamin Franklin at the University of Pennsylvania. Mayor Michael Nutter is the former mayor of Philadelphia. He assumed office in 2008 as the 98th mayor of the city. William C. Bullitt is the great-great grandson of John C. Bullitt. 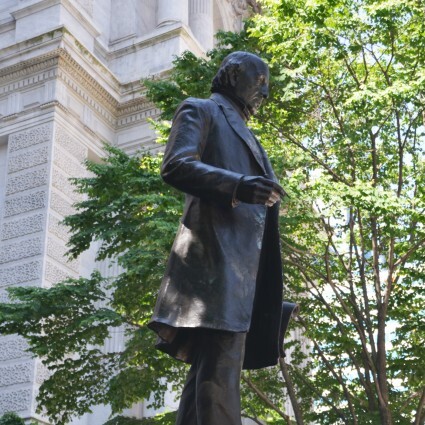 He is a partner at Drinker Biddle & Reath LLP in Philadelphia, the law firm founded by John C. Bullitt. Elizabeth Milroy is the former Curator of Education for Public Programs at the Philadelphia Museum of Art. 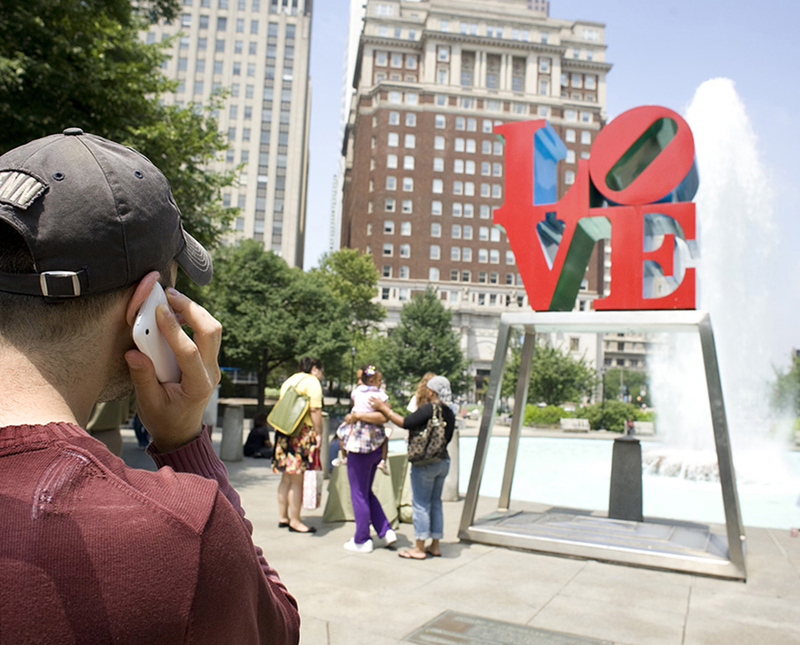 She is a specialist in American art and the history of Philadelphia.